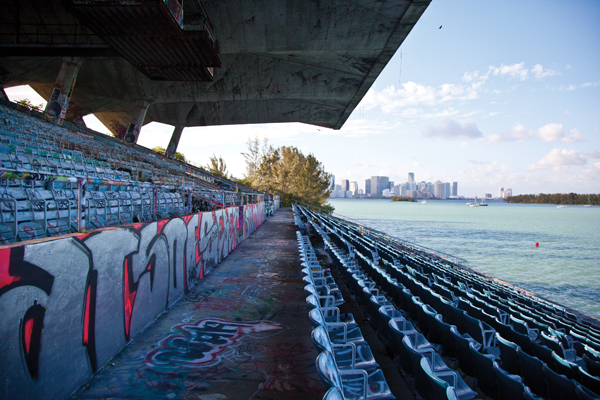 The graffiti-covered seats of the Miami Marine Stadium may soon attract patrons instead of the occasional skater. 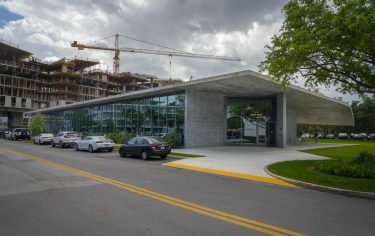 City of Miami commissioners voted 3-2 on March 8 in favor of allowing a possible renovation, using a master plan developed by UM architecture students in 2009, of the stadium to progress with certain conditions. During their March meeting, commissioners met with the Friends of Miami Marine Stadium, the group responsible for the landmark’s preservation, to confirm an agreement between the two groups and the Miami Sports and Exhibition Authority (MSEA). The agreement gives Friends two years to develop fundraising techniques and a viable operational plan. Friends, which is in charge of completing the two requirements, must return in six months to update commissioners and MSEA on its efforts. Miami commissioners Wifredo “Willy” Gort, Marc Sarnoff, and Francis Suarez voted in favor of the agreement with Friends, while Michelle Spence-Jones and Frank Carollo voted against. According to an article in The Miami Herald, Spence-Jones and Carollo both objected to the agreement because Friends was given the authority on the issue without being chosen through a competitive bidding process. After multiple attempts to reach the two commissioners, Spence-Jones and Carollo were not available to speak at the time of publication. However, Suarez said that there were not any other alternatives available at the time of the vote and thus voted in favor of the agreement. Sarnoff also voted yes, but is concerned about whether viable operational and economic plans are achievable. According to Suarez, it will take an estimated $30 million to $40 million to renovate the stadium. Three million dollars in county bonds have already been allocated to assuage the cost. Friends will need to fundraise the remaining amount. Given the historic and iconic nature of the stadium, Friends might also receive aid from the federal government and various philanthropies, Sarnoff said. Co-founder of Friends Don Worth confirms that another $4 million to $5 million in tax credits and $2 million from a corporate sponsor have been confirmed for renovation funding. He hopes the remaining balance comes from a capital campaign and possible naming rights to the stadium. According to Worth, the stadium will be used as a multipurpose facility that will host everything from sporting events and boat races to graduations and weddings. The original architect, Hilario Candela, will restore the stadium using UM architecture students’ master plan. 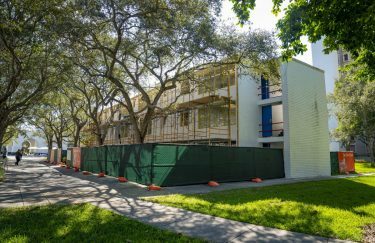 In 2009, the class was led by Friends co-founder Jorge Hernandez, a UM architecture professor and vice-chair of the National Trust for Historical Preservation. Hernandez was not available to speak at the time of publication. 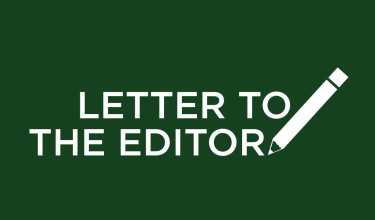 The stadium will again face another vote concerning MSEA’s final approval to give the interlocal agreement the anticipated green light.For now, six months stand between Friends and the possible realization of its cause.